Department of Mechanical Engineering mentors the students to excel in the field of technology with the recent trends. In this endeavor, the Department is continue to enhance knowledge and quality of faculty and staff members, upgrade and create new laboratory facilities, acquire new equipment to keep abreast with emerging technologies. A cooperating relationship is maintained between the students and staff, which enables the students to develop a sound base in a helpful environment. 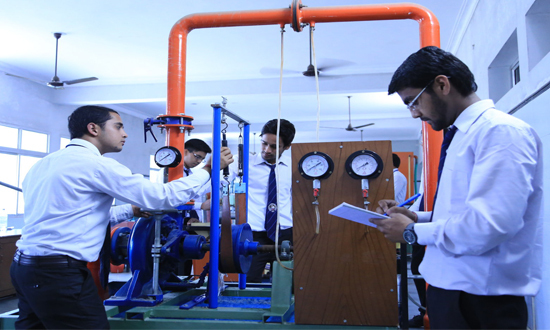 The major focus of the department is on the education for application of mechanical engineering and latest software in design and to develop latest projects along with the gain from practical experience in the field of mechanical engineering.